My favorite drawing from last evening. 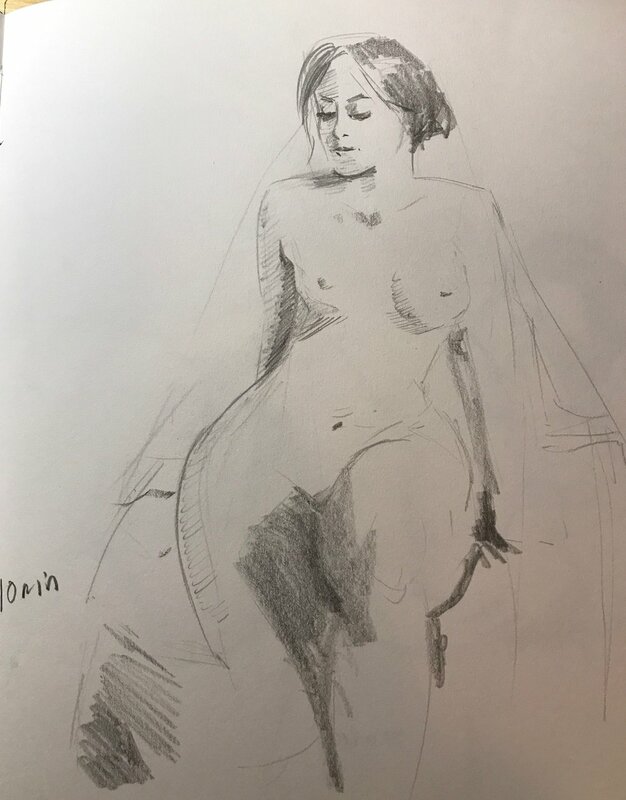 On my mission to constantly improve my technique and art I'm determined to attend more life drawing classes. Berlin has quite a few offerings available, and last night I attended one, just a bus ride away from me. The class had a nice atmosphere, the organizer was good about directing the model, and the model was very friendly. It's been a while since I've gone to a more traditional life drawing class. I went to a few when I first moved to Germany, but at that time I was living in Potsdam and traveling to Berlin from there was a bit of a headache. I've been attending Berlin Drink and Draw classes (which are great too) but I wonder if any are near me as well. One of the things I wished we did in this class was to show each other our work at the end. That way you can learn from one another or get inspired. That was the only large difference between the class I attended last night and the Drink and Draw's classes. 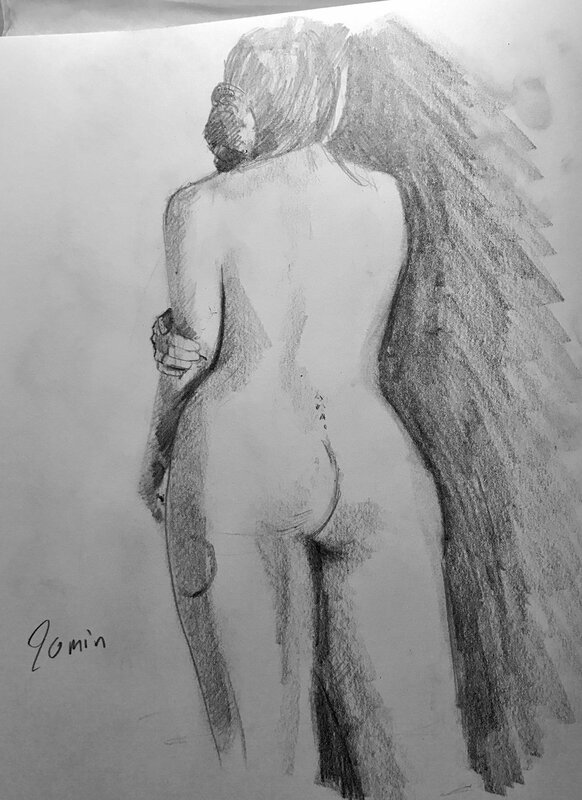 I'm always looking for more figure drawing classes to attend, and maybe, hopefully, there's one I could just walk to!